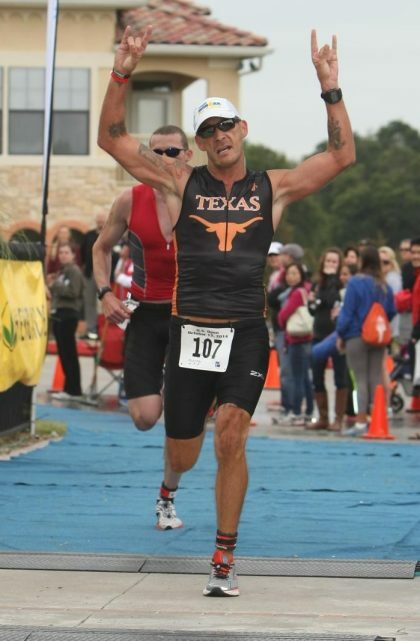 Jeff started his time with Texas Tri in the spring of 2014 as an athlete and competed throughout the 2015 season. He has been racing as an age group athlete in running races from 5K to 13.1, obstacle races of all variations, and triathlons from sprint to Half-Iron distances for well over a decade. He has multiple podium finishes (including 1st place) both overall and in age group. His coaching background comes from a relatively unique environment related to his 20 years as a United States Marine. During that time he trained thousands of Marines, Recruits, and Officer Candidates in every imaginable facet of fitness from general strength, speed, and agility, to endurance of both the mind and body. One of his favorite fitness philosophies is that you cannot have a strong body without a strong mind. He is currently employed by The Austin Fire Department as an exercise physiologist. He has trained and coached both military and civilian athletes in teams and individually for over 20 years. He is currently employed by The Austin Fire Department as an exercise physiologist where he continues to train tactical athletes of all levels. He has a B.S. from UT in Kinesiology with a specialization in Strength and Conditioning Coaching. He is currently certified as a USA Triathlon Coach, Personal Trainer, a USA Weightlifting Sports Performance Coach, IAFF Peer Fitness Trainer, TRX Instructor, and Schwinn Spin Instructor. He is excited to be a part of the amazing team that is growing in size and accomplishments at The University Of Texas. He is looking forward to watching and being a part of the impressive growth and performance of the athletes, both new and seasoned that is sure to happen.